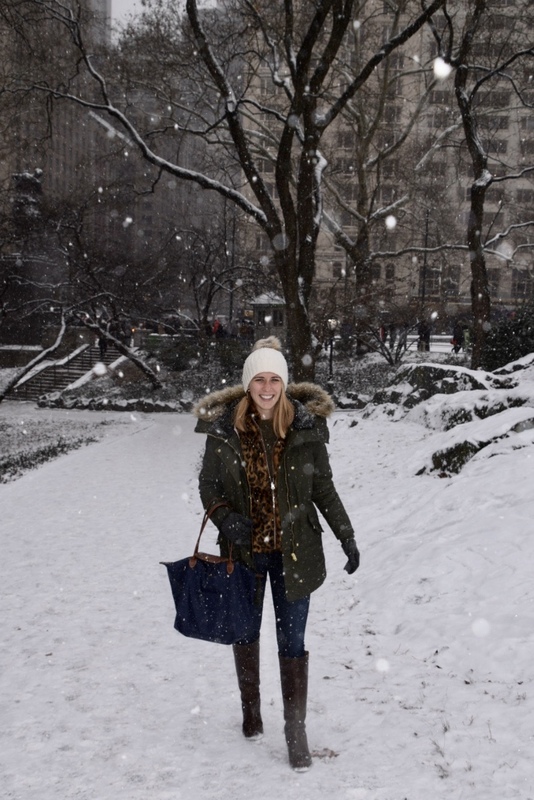 After a few months of living in DC, I think I've finally learned how to dress for cold weather. It's all about the layers, and a warm jacket is a necessity. 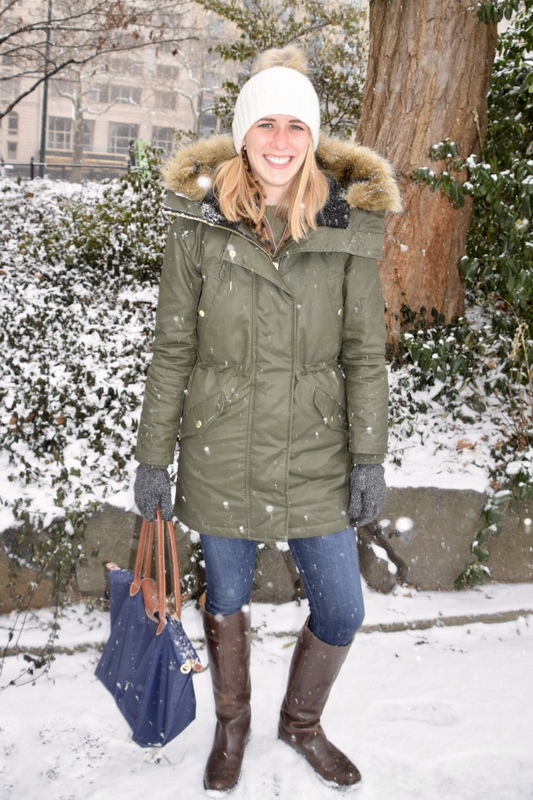 My J.Crew parka has saved me this winter. It's warm and cute--really all I could want. I had been eyeing this leopard vest for a while and may have dropped a few hints to my mom, as I found it under the tree on Christmas morning. It's sold out in most sizes now, but J.Crew has a bunch of other options, including fun, colorful faux fur vests and my favorite excursion vests. I couldn't resist picking up this mockneck sweater yesterday after seeing the 40% off sale. 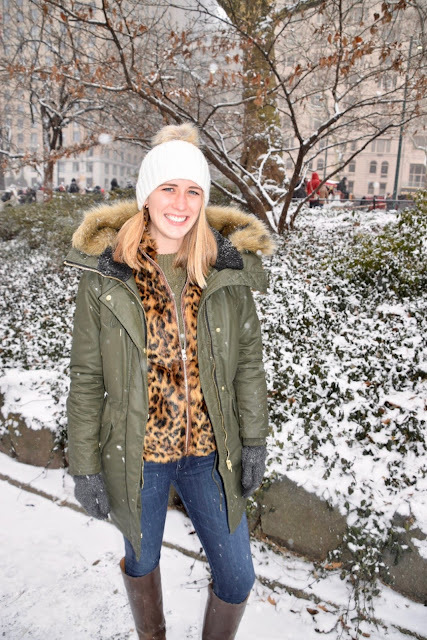 I love how the olive color matches my parka, but beware that it runs really short. I bought mine two sizes larger than usual. 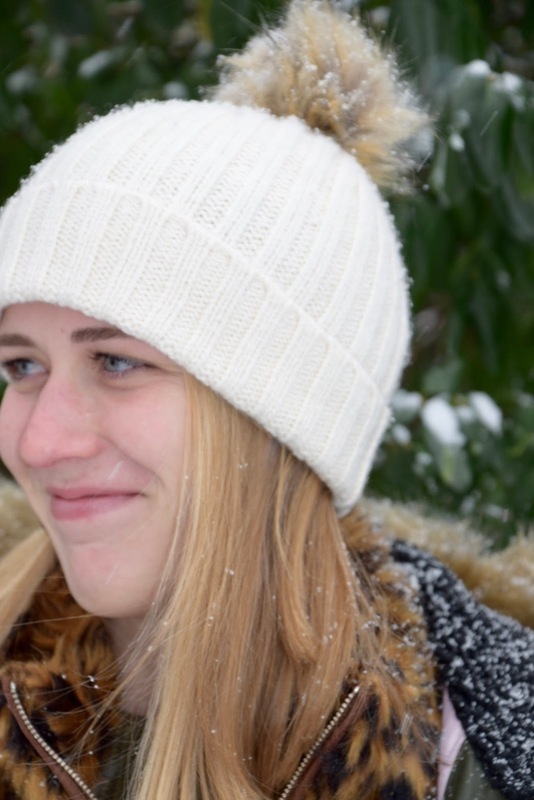 This hat is the perfect cold-weather accessory and makes all the difference in my warmth. 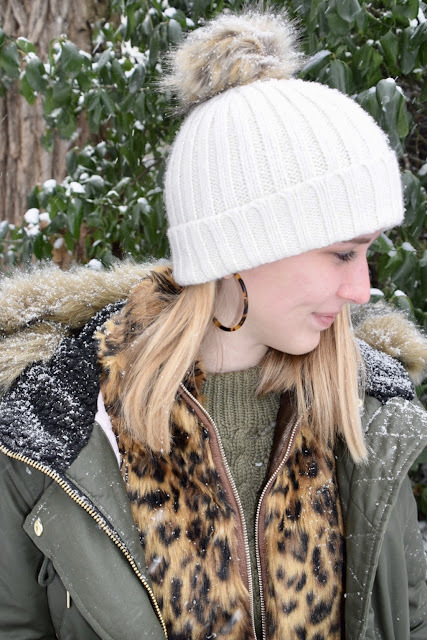 My earrings were another NYC purchase that are soon to become a wardrobe staple. I've had these Nine West boots for a few years, so they're hard to find online anymore, but they've held up so well! I wouldn't have worn them if I had planned to be in the snow all day though. It was such a beautiful day for my first visit to Central Park!